My post from a few years ago about Why I hate Mac and OSX is by far the most read post I have ever posted on this blog (Somebody cross-posted it to an OSX Advocacy forum and the flame war was on). 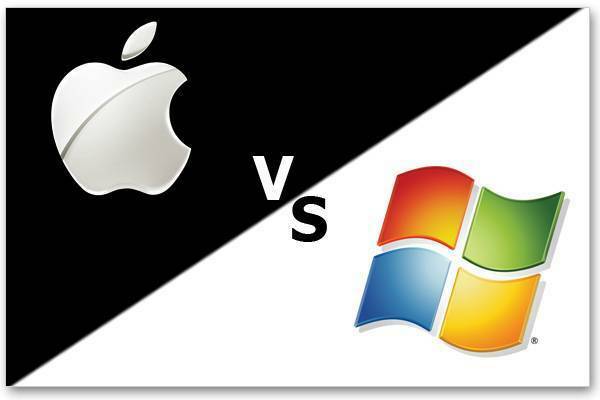 So it has been a few years, both OS X and Windows has moved on since 2009 and hardware has improved tremendously. I have also started a job which more or less requires me to use a Mac laptop so I have recently spent a lot of time again working with a Mac so I figured I would revisit the topic of what I prefer to work with. The two laptops I will be comparing specifically is a Dell Precision 7510 running Windows 10 vs a current 2015 Macbook Pro running OSX El Capitan. Before I start the comparison I'll describe what and how I use a computer. I'm a software developer that has been working with this for decades. I prefer to use my keyboard as much as possible. If there is a keyboard shortcut, I will probably use it pretty quickly. I tend to want to automate everything I do if I can. I have great eyesight and pretty much the most important aspect a laptop is that it has a crisp high resolution screen (Preferably non glossy) which to me translates to more lines of code on the screen at the same time. So with that in mind lets get started. This one is fortunately easy. For some bizarre reason OSX does no longer allow you to run in native resolution without installing an add-on. Even with that add-on installed the resolution is paltry 2880 by 1800 in compared to 3840 by 2160. That means that on my DELL I can fit almost twice as much text on the screen. Also Mac's are only available with a glossy screen which is another strike against it. I don't really care at all about color reproduction or anything like that, and even if I hear that the Mac is great at that (And so supposedly is the DELL) but don't care about that at all. Windows used to have pretty bad handling of multiple screens before Windows 10, especially with weirdly high resolution. This has gotten a lot better with Windows 10. That said OSX has great handling of multiple screens, especially when you keep plugging in and out of a bunch of screens, things just seem to end up on the screen they are supposed to be when you do. Windows is much less reliable in this sense. That said, the better handling of multiple screens are nowhere near weighing up for the disaster that is the OSX handling of native resolutions or the low resolution of the retina display. The PC is as a friend of mine referred to it "a tank". It is amazing how small and light the Macbook Pro is compared to everything that they crammed into it. I can go almost a full day on my Mac, my PC I can go a couple of hours. No contest here, the Macbook Pro has amazing battery life. Let me start off by saying that the track pad on the Mac is fantastic. Definitely the best I have ever used on any computer any category. That said why can't you show me where the buttons are (I hate that), the 3D touch feature is completely awful on a computer (I don't really like it on a phone either, but there it has its place). I started this review by saying that I use a lot of keyboard and when it comes to productivity there is absolutely no substitute for a track point. This is that weird little stick in the middle of the keyboard that IBM invented. The reason why it is superior is that when I need to use it I never have to move my fingers away from their typing position on the keyboard so I don't lose my flow of typing if I have to do something quickly with the mouse. In regards to keyboards both Macbook Pro and the DELL Precision laptops have great keyboards. However, for some weird reason Macbook's still don't have page up and page down keys. And not only are there no dedicated keys for this, there isn't even a default keyboard shortcut that does this (Scroll up and scroll down which are available are not the same thing) so to get it at all you need to do some pretty tricky XML file editing. You also don't have dedicated keys for Home and End on a Macbook Pro. And given that there is so much space when the laptop is open not used by the keyboard on a 15" Macbook Pro I find it inexcusable. With my Windows machine (And this is true for pretty much any tier 1 Windows laptop supplier) I call a number or open a chat and 1 to 2 days later a guy shows up with the spare parts required to fix it. With Apple I take it to the store and then they usually have to ship it somewhere, it takes a week or two... If you are lucky. For me that would mean that I can't work for those two weeks if I didn't have a large company with their own support department to provide me with a replacement to help out where Apple falls short. I can open up my PC and do almost all service myself. Dell even publishes the handbook for doing it on their support site. Replacing the CPU would be very tricky because I think it is soldered to the motherboard, but everything else I can replace and upgrade myself. I also have 64GB of memory, two hard drives and if I want to upgrade a component in a year or two it wont be a problem. The Macbook Pro has Thunderbolt 2 which is great (Although the PC has a Thunderbolt 3 port), but that is pretty much it in regards to self service upgrades. Also my PC beats the Mac on pretty much any spec from HD speed, size, CPU, GPU, memory. Everybody talks about the Apple tax. I don't find that to be very true. A good laptop (Which don't get me wrong both of these are great laptops) costs a lot of money. And my PC cost quite a bit more than the Macbook Pro did. Granted it has better specs, but I don't think there is really any difference in price when you go high end with a laptop purchase. For me productivity is synonymous with simplicity and predictability. Specifically I move around a lot of different applications and I need to be able to get to them quickly, preferably through a keyboard shortcut and I want to do it the same way every time. With that in mind OSX is an unmitigated disaster in this area. First of all, you have to keep track of if the windows you want to get to is in the same application or another one. And if it is another application, you first have to swap to the application you want and then after that you need to use a different keyboard shortcut to find the specific window in the application. I do like that you can create multiple desktops and assign specific applications to specific desktop (Predictable!). However then when you go full-screen with those windows they move to another desktop and this desktop has no predictability at all of where it is placed in comparison to other ones, it is strictly the order in which they are placed. Going on, I still don't understand how OSX still doesn't have a Maximize window button that takes the window and just makes it fill the screen. There are some third party tools that helps you a bit with this madness (Like being able to maximizing windows without going full-screen for instance). And regrettably in my opinion this is an area where OSX is moving backwards where the original Exposé was actually pretty good compared to the current mess. Also I don't like having the menu bar at the top of the screen because it means that it is usually further away from where my mouse currently is which means it takes longer to get there. A side note that doesn't affect me much but it does kind of need to be stated is that unsurprisingly Microsoft Office 2016 is just so much better on Windows than OSX. In regards to development environments everything Java is available for both platforms so this comes down to comparing Visual Studio to XCode as far as I think. And obviously this comes down to whether you are developing in Swift or C# but since Visual Studio has recently moved more and more into the multi platform arena this is more of a real choice every day. XCode has improved in huge leaps and bounds since the original versions I worked with (I started working with it around version 3). However there is simply no contest here. Visual Studio is the best development environment that I know. Both when it comes to native features, and the 3rd party extension system that support it is simply amazing. The only one that might possibly come close as far as I am concerned is IntelliJ. This is also a very easy call. OSX is Unix based, has a real shell, PERL and SSH installed by the OS. Sure Powershell is OK, but I just don't like it. I would argue that I think the terminal emulation in Putty seems a little bit better than Terminal, but on the other hand it doesn't have tabs and it also isn't installed by default. This is a tricky category because there is obviously a lot more software available on Windows than OSX. However I find OSX has a lot of really good software that isn't available on Windows in similar quality. So I'm going to call this another tie. You would think that this is an easy win for Mac. And for normal non power users I would say that is absolutely true. It is harder for a non technical user to mess up an OSX system than a Windows system, no question about it. I however tend to tinker with stuff that normal people wouldn't and I can say that I have managed to mess up my Mac several times to the point where it will not boot and I have to completely reinstall the OS. However, I have done the same thing more times on Windows than on OSX I think. I also am a little bit worried about Apple's general stance on solving security issues in a timely manner, something that Microsoft is actually really good it. That said, even though this is not as much of a slam dunk as you would think I still have to give this to OSX. Another thing I would like to add in here is that pretty much every PC that I have bought there have been some part of the hardware that did not quite live up the expectations. On my previous laptop DELL Precision m4800 it was the keyboard (In 2 years I replaced it 6 times), on this one I am still working with support on fixing some flakiness with the trackpoint. I have never had similar issues with any Apple computer (Although I did have an iPad 4 where the screen just shattered when I placed it on a table for no reason). If you travel a lot and need to work on battery a lot I think you might want to give the Macbook a go. It's pretty neat. That said the clear winner for me when it comes to both productivity, usability and just raw performance is going to be a Windows machine when it comes to doing software development. The beauty with Windows is that since there are so many of them you can usually find one that fits you exactly (There are obviously PC:s that are very similar to the Macbook Pro, for instance the bezel-less Dell XPS 15 looks pretty sweet if you are looking for a PC equivalent of a Macbook Pro). Go for the best of both worlds. I use my Mac for just about everything but when I need Windows, VMWare comes to the rescue. I simply run VMWare on a different desktop and Ctrl -> to it. Also, as far as support goes, I've had a Mac mini at home for nearly 8 years. I've physically turned it off only a handful of times (several to move to a new room and a couple for hardware upgrades). Other than that, it's been on for that long. I can't say that about any PC I've ever had. Remember, you can run a Windows VM on a Mac but you can't run a Mac VM on Windows. My personal record is a server that I ran for around 20 months without rebooting, that was Linux though. Both OSX and Windows have memory leak issues if you use them heavily for a longer period of time. That said, I'm specifically talking about laptops here and I have never had a laptop I actually used for over a year that I haven't had to have serviced at least once (I guess I am a violent user). I actually also have a VMWare instance that I run a hacked OSX instance in for going the other way in regards to getting "the best of both world" (I don't travel that much so the extra Oompf and better screens in a PC laptop makes it worth it for me). It comes with some issues though that aren't great in regards to updates and stuff. You consider yourself a super player, Come on BGAOC and test your strength with other players. good play roulette The best players and not only get good prizes. This is really a wonderful post. I'm learning a lot of information from here. Do share more articles.